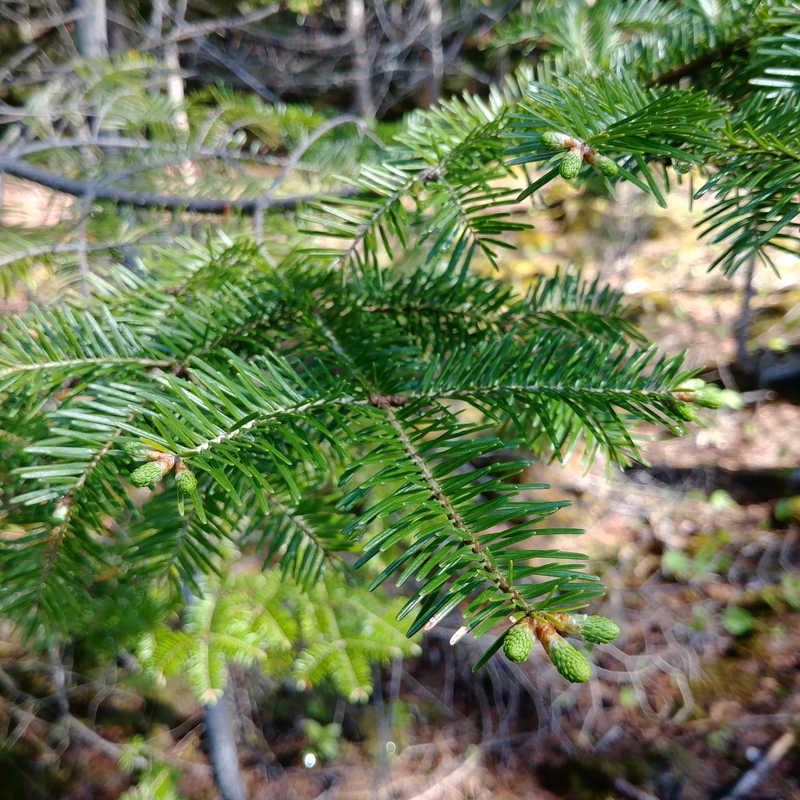 It is almost at the end of the spruce tip season here in the Midwest, but you still can gather the new growth from spruce and fir. I like to use them to make a seasoning salt, for I do not like or use a syrup that much. 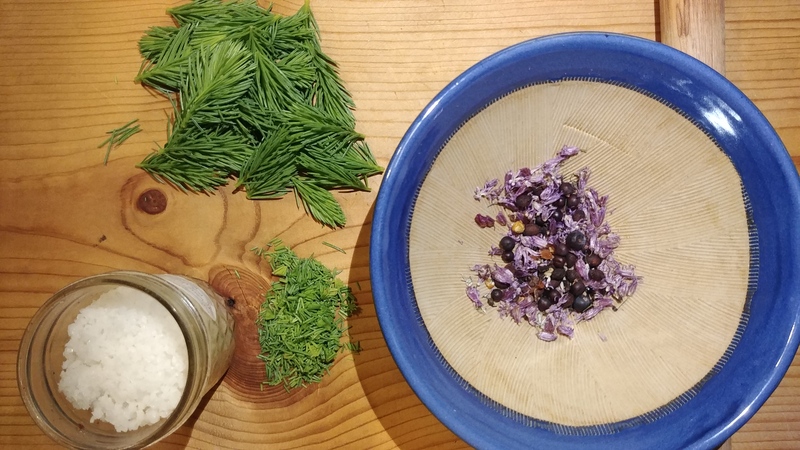 In this recipe I am using optional spices that I’ve foraged in fall. You can substitute those with whatever you have in your pantry. 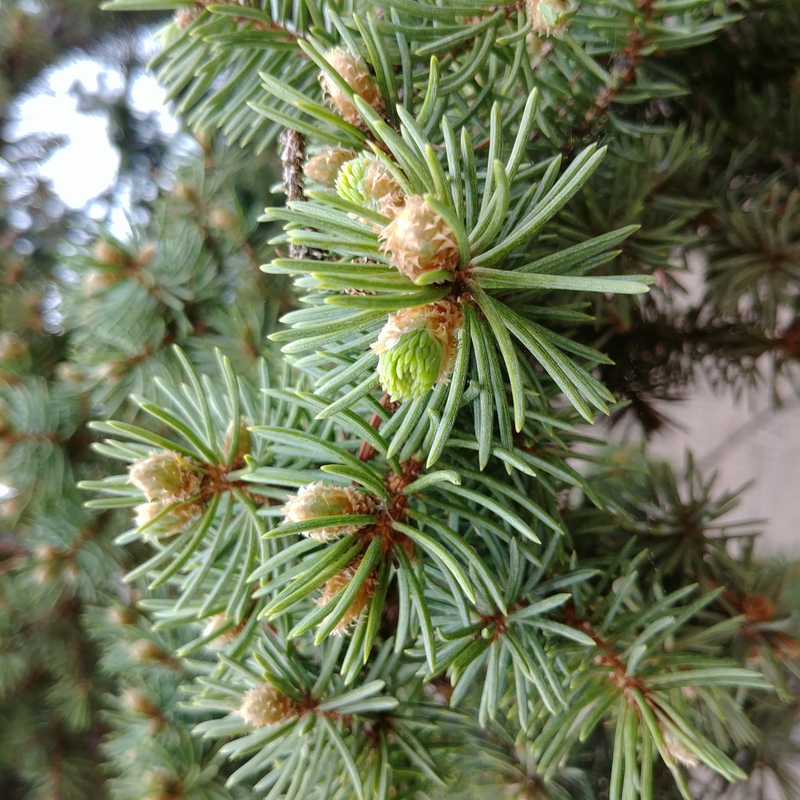 The first picture shows a spruce. The “needles” (leaves) are arranged in a “pipe cleaner” shape. The second picture is a balsam fir. The leaves are on a flat plane. When you gather the tips (new growth), gather when the brown papery scale/cover has fallen off; it will be too astringent when they are too young. Also, pick only one or two from different branches and trees, for the tips are the entire growth for this year. Yes, they grow really slowly. I personally do not distinguish spruce and fir in their use. I actually prefer mixing both. 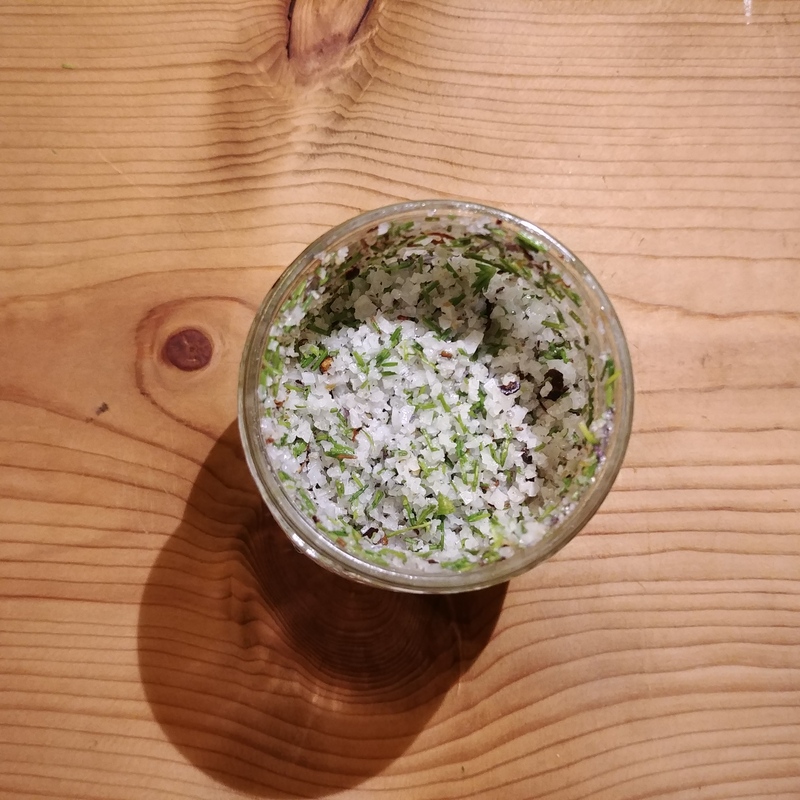 Prepare coarse sea salt in a jar (spruce/fir tips to salt ratio can be 1 to 8-10). Grind optional ingredients if necessary. Add all ingredients to salt and mix well. Done! Use it to season any dish. It is particularly good for seasoning game meat. The green color will fade quickly, so don’t worry when the color changes within a day or two. Enjoy your own forager’s seasoned salt!